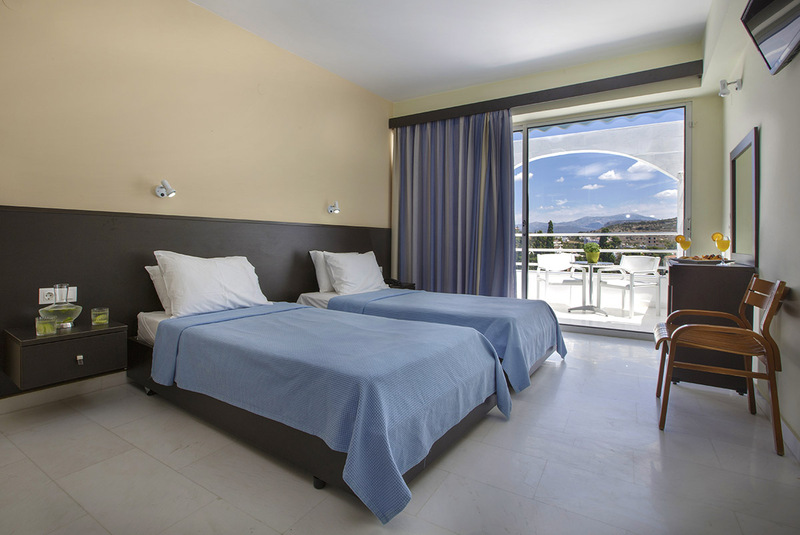 verandas the Asteria Hotel rooms have everything you need for moments of comfort and relaxation. the living experience exceeds all your expectations. Spacious (22 m²) and stylish, the Double Rooms are welcoming and provide comfortable accommodation for up to 2 adults. The bathroom has a shower or a bathtub, while the private veranda is equipped with coffee table and chairs. The modern design, the elegant style and the functional & warm room lighting of the Superior Room (25 m²) create a quality, comfortable and pleasant space for 2 people who look for comfort in their holidays. The furnished veranda with direct view to the sea and the pool offers a sense of relaxation and rejuvenation to its guests. The spacious (50 m²) two-bedroom apartment with modern style and comforts provides warmth and relaxation. The simplicity of the apartment combined with the pool and sea view create the ideal environment to spend the most pleasant holidays with your family or your friends. The apartment can accommodate up to 5 people. The earthy shades, the refined lighting, the modern decoration, the functionality and the comfort of the Junior Suite (35 m²) create a calm and warm atmosphere giving you the ultimate relaxation and comfort experience during your stay. The private veranda is equipped with table and chairs and offers panoramic view of the pool and the Argolic Gulf.